Hello! Glad to know you are interested in Louise Fitzhugh. This is a visual biography to accompany the book I’m writing about her life. I’ll be posting various images as I go along. (Many Thanks to Regina White who helped find these images). I’m currently working on 1952-56 when Louise lived in Greenwich Village with France Burke. Both women were painting and sculpting . Eventually they would go to Bologna together, where Louise would further pursue her interest in murals and frescos. 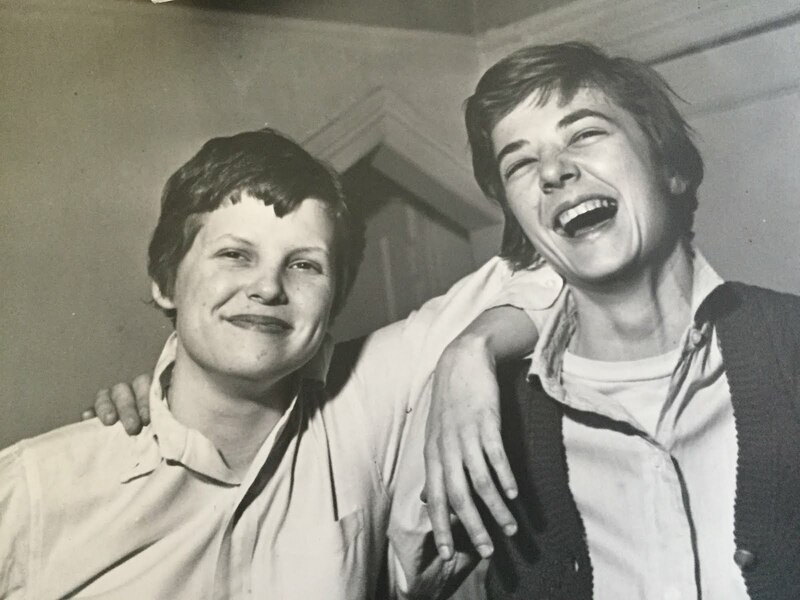 LOUISE FITZHUGH AND FRANCE BURKE LIVED TOGETHER IN THE ATTIC GARRET OF AT 7 LEROY STREET FROM 1952-1956. FRANCE IS ON THE LEFT AND LOUISE ON THE RIGHT. 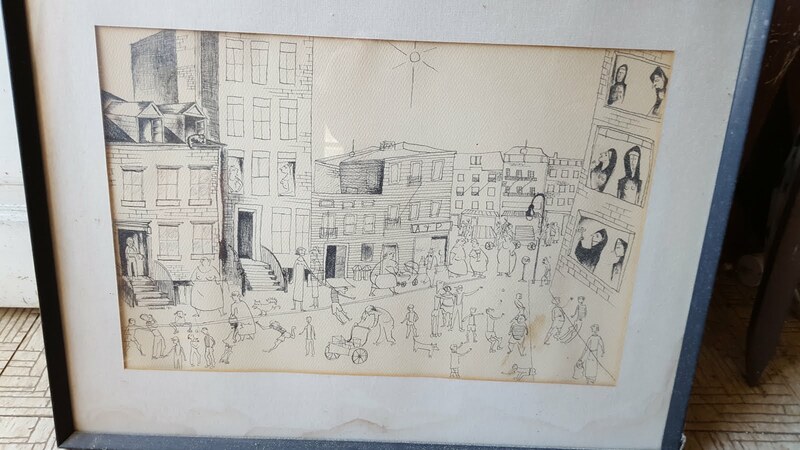 HERE IS A CARTOON BY THEIR FRIEND AND FELLOW ARTIST (JEAN) SHERMAN OF 7 LEROY STREET. FRANCE IS STANDING AT THE DOOR, AND THEIR CAT MACBETH ON THE RIGHT GABLE. TAKE A LOOK AT THE NUNS IN THE CONVENT ACROSS THE STREET. HERE'S THE FINISHED PAINTING. IT'S OWNED BY SAM SHEA WHO WAS MARRIED TO THE LATE FRANCE BURKE. SAM HAS KINDLY PERMITTED ME TO REPRINT THE PAINTINGS AND PHOTOGRAPHS YOU SEE HERE. 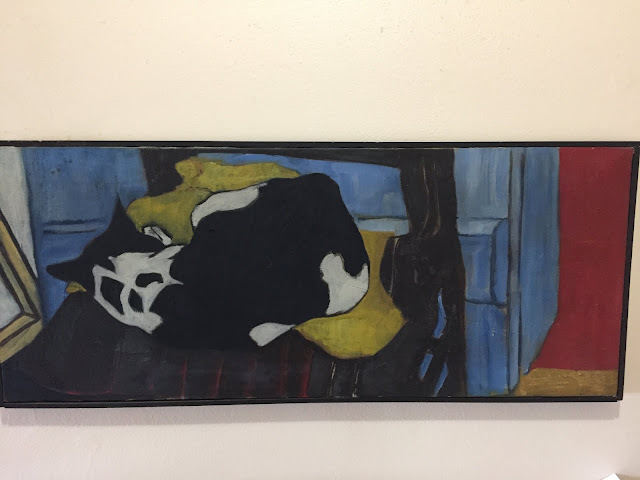 "AN ESPECIALLY HANDSOME COMPOSITION IN MAT SURFACE IS LOUISE FITZHUGH'S SLEEPING CAT, WITH HIS TABBYSHIP SPRAWLING IN ANCIENT EASE, AND LENDING HIS SLUMBERING DIGNITY TO THE PAINTER'S WIDE-AWAKE-PERCEPTION." 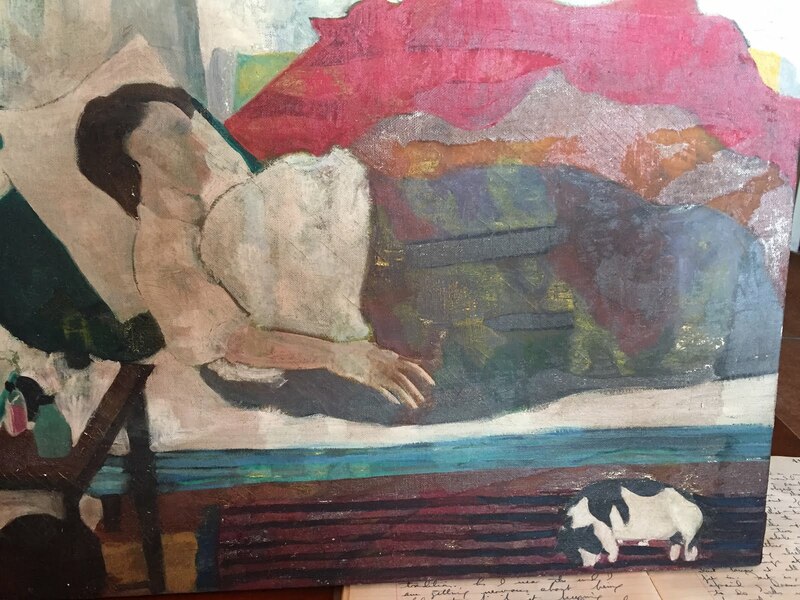 ONE MORE OF "HIS TABBYSHIP"AND FRANCE, WHO WAS A CAPTIVE MODEL IN BED WITH PNEUMONIA , WHEN LOUISE PAINTED THIS. 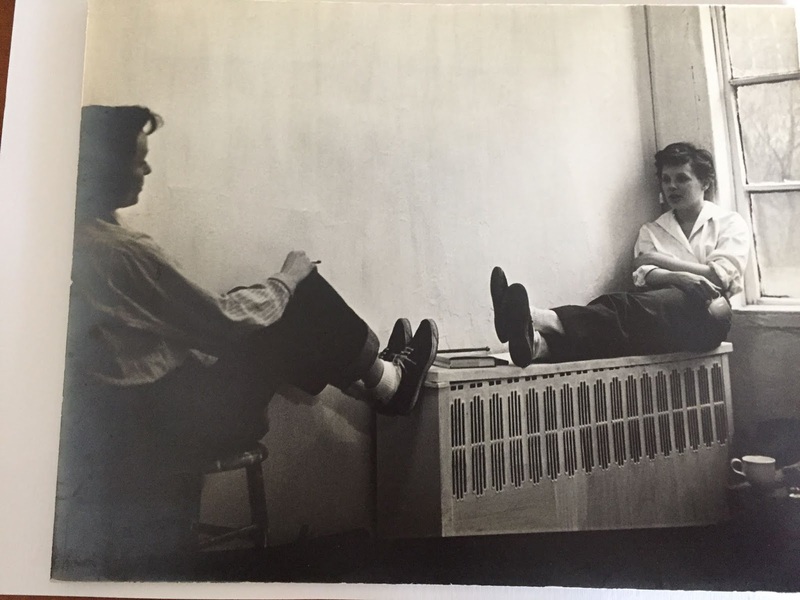 A few more photos from 1952-1956, when Louise and France lived on Leroy Street. Here's Louise with her friend Gina Jackson, a photographer, also from Tennessee. 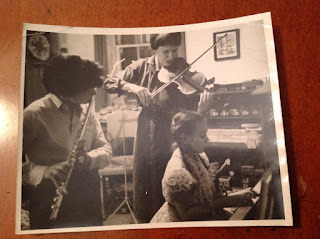 Here's a photo of Louise and France playing music together. France on violin and Louise on flute. And a book of musical anecdotes which Louise gave to France for Christmas 1955. Here are two other photos of Louise from those years. One probably earlier--1951? Before she cut her hair short. And a portrait of a happy Louise. 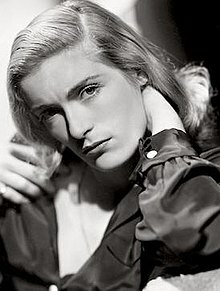 Here is Louise's friend Parisian, Lilyan Chauvin, who was in the film "Silk Stockings," and worked for Charles Boyer, helping him keep his French accent. Louise wanted to study Fresco in Italy. I wanted to learn a bit more about fresco making and saw these frescos by Tibaldi in a museum in Montreal. Stay Updated and Follow by Email!